Compare protein supplement brands ALDI, Atkins, Aussie Bodies, Bodytrim, BSC, Bulk Nutrients, Musashi, Nature’s Way, Optimum Nutrition and Sustagen on factors including effectiveness, taste, texture, variety of flavours, value for money and overall satisfaction. Canstar Blue research finalised in August 2018, published in August 2018. In a really strong market, Bulk Nutrients has topped Canstar Blue’s customer satisfaction ratings for protein supplements in 2018, with five stars across a range of factors, including effectiveness, texture and overall satisfaction. When it comes to hitting the gym, and working out, what you put into your body could have more of an impact than how much weight you’re throwing around, or how many kilometres you’re running on the treadmill. 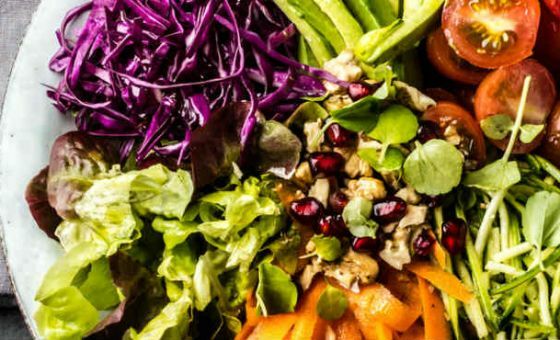 But as many of us know, it can be tough to eat healthily, with plenty of fast food options and office snacks lying in wait to undo all your hard work. In addition, understanding nutrition can be a tricky business, with finding the right balance enough to frustrate even fitness professionals. Regardless of how familiar you are with the fitness industry, most will know that protein is often the key to getting your dream body, with the macronutrient playing a big role in building muscles and strength. And while foods including chicken and nuts can be easy to prepare, fitting in another meal isn’t always a viable option, particularly if you lead a busy life outside the gym. As a result, supplements have become a gym kit essential for many, whether it’s protein bars or powder for shakes. While protein supplements can be convenient when you have one you like, finding the right brand in the first place is the tricky part, with the market bulging at the seams. It almost needs a whole supermarket aisle to itself these days. 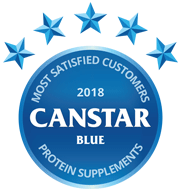 That’s why Canstar Blue produces an annual review of protein supplements, to find out which are rated best by the people who use them. Bulk Nutrients is an Australian-owned and operated business, offering local gym-goers a variety of protein supplements, in addition to other products such as amino acids and pre-workout and weight loss shakes for all your fitness needs. 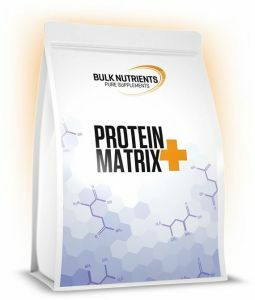 For those after protein powder, Bulk Nutrients offers a wide variety of flavours and sizes to suit your needs and tastes, regardless if you’re new to protein supplements or no stranger to the industry. If you’re constantly on the move, Bulk Nutrients also has you covered with travel packs, making it easier to squeeze in a workout on the go. Bulk Nutrients Whey Concentrate provides 23g of protein per 30g serving, while the Whey Isolate bumps up the protein to 26g per 30g serving. Other protein supplement options include whey, muscle food mass gainer, and Protein Matrix +, which includes BCAAs for extra recovery. Available in a number of traditional flavours including vanilla, chocolate and banana, Bulk Nutrients also provides flavours such as peppermint slice and choc honeycomb if you’re looking to satisfy those sweet food cravings. Bulk Nutrients protein are available in 1kg up to 20kg packets, handy for those visiting the gym for the first time as well as those who live for the gym. In addition to traditional protein supplements, Bulk Nutrients also offers vegan and vegetarian options for consumers, including hemp, rice, pea and soy protein types. All are available between 1kg and 10kg sizes, with ingredients and recipe ideas listed on the brand’s website. Bulk Nutrients additionally offers packet mix protein pancakes, oats and beverages, making meal time easier for those looking to bulk up. Primarily available through online purchase through the website, Bulk Nutrients ships Australia-wide for a flat fee, with the supplement company also partnering with Anytime Fitness for those looking to pick up a tub or two at the gym. Rated five stars for overall customer satisfaction, Bulk Nutrients also received a five-star rating for effectiveness, value for money, texture, as well as the only five-star rating for variety of flavours, along with a four-star rating for taste. One of the most recognisable supplement brands worldwide, Optimum Nutrition is a popular option for both the fitness beginner and competitive bodybuilder. Offering a wide selection of supplement products, including its Gold Standard Whey, Casein, BCAAs, pre-workout and multivitamins, Optimum Nutrition may be worth checking out if you’re looking to make a lifestyle change. Available in small 500g tubs up to 5kg packets, Optimum Nutrition’s Gold Standard Whey comes in classic flavours such as chocolate, vanilla, strawberry, as well as flavours like cookies and cream, rocky road and birthday cake for those looking for a post-workout treat. If you’re looking for something that packs a bit more of a punch than the Gold Standard, Optimum Nutrition offers Hyrdrolised Whey, which contains a purer form of Whey protein with less fats. 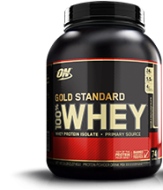 Optimum Nutrition’s Gold Standard Whey contains 24g of protein per serving, while the Platinum Hydro Whey contains 30g of protein per 41g serving. In addition to the traditional Whey protein supplements, Optimum Nutrition also provides Casein protein for a more recovery-focussed protein hit, plus plenty of snacks to ensure you’re getting that protein intake while satisfying your sweet tooth. While a bit more expensive than most other brands, Optimum Nutrition offers enough options and varieties to suit all types of gym-goers, available at all major supplement stores and online retailers, in addition to the big supermarkets. Founded in relation to the Atkins diet, Atkins Nutritionals offers protein powder, ready-to-drink shakes, as well as protein bars to help you get your regular protein fix, with each product keeping in line with the low-carb Atkins diet. 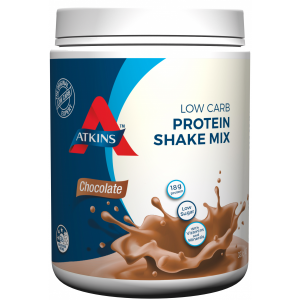 Atkins protein powder is available in milk chocolate and vanilla flavours, with both available in 330g tubs. If ready-to-drink shakes are more your speed, Atkins also offers a variety of flavours, including chocolate banana, vanilla, café caramel and dark chocolate, all available in 350ml individual bottles, as well as packs of four depending on your local retailer. Atkins protein shakes offer more than 17g protein per serving, with 3g of Fibre. If you’re looking to get a protein hit as well as get your daily fibre intake sorted, Atkins additionally offers the Atkins Plus range, which includes vanilla and chocolate flavoured shakes for shoppers to choose from. Offering twice as much protein and up to three times more fibre than other Atkins shakes, the Plus range may be better suited for those looking to step up their workouts and nutrition. Atkins also offers protein bars for individual sale and packs of five, available in a variety of flavours such as caramel nut, chocolate chip, choc mint and fudge. All products are available through online supplement stores, as well as major supermarkets, pharmacies and health food stores. 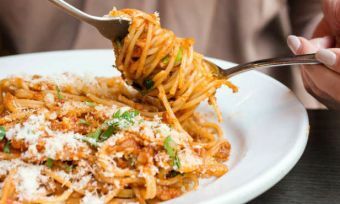 In addition to a four-star rating for overall satisfaction, Atkins was rated five stars for taste, four stars for effectiveness, texture and variety of flavours, while also scoring three stars for value for money. Another Australian company, BSC – otherwise known as Body Science – offers a wide variety of products for those keen on their fitness, including compression clothing, as well as protein supplements. Available for purchase via its website, BSC is also available at supplement stores and major pharmacies. BSC provides plenty of protein powders, including Lean Muscle, Whey Isolate, as well as a vegan protein option, giving consumers plenty to choose from. Available in tubs of up to 3kg, BSC offers flavours such as vanilla, chocolate, peanut butter and espresso on select powders, with each powder gluten free. 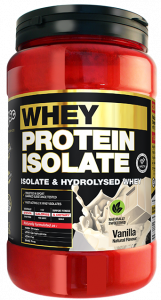 BSC’s Whey Isolate offers more than 26g of protein per 30g serving. For those looking for a quick option on the go, BSC also offers a 450ml Muscle Protein Shake, available in flavours like chocolate, banana and espresso, with the shakes containing no artificial flavour or colouring, as well as being gluten and GMO free. In addition to protein shakes and powders, BSC offers a number of protein bars and balls to help those who are prone to snacking, or are simply looking for an extra protein boost. BSC’s protein bars are available in packets of 12, with protein balls available in packets of eight via the website, ensuring you have enough to get you through your workouts. Rated four stars across a variety of categories, including taste, value for money, texture, variety of flavours and overall satisfaction, BSC was also rated three stars for effectiveness. 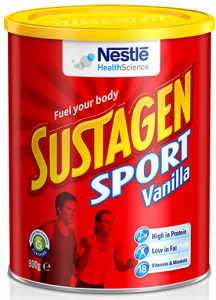 Operating under the Nestle brand, Sustagen offers consumers a variety of products to include a number of vitamins and minerals for a balanced diet. The range includes the Sport range, which includes a higher level of protein for those hitting the gym or playing sport. While it may not offer as high a protein pack as other brands, Sustagen may be better suited for those just starting at the gym, or for growing kids. Sustagen Sports contains just under 15g of protein per 60g serving, along with plenty of vitamins for healthy growth. The Sports range includes flavours such as chocolate and vanilla, with both flavours coming in a 900g tub. Sustagen is widely available at most supermarkets and pharmacies, with the products also available online through the Sustagen website. Sustagen was rated four stars in almost all criteria, except for a three-star rating for variety of flavours. Aussie Bodies’ range has grown to include a variety of supplement products, including bars, powders and ready-to-go shakes for all fitness types. Available at major supermarkets and pharmacies, Aussie Bodies may be an option worth checking out, regardless of your fitness level. Aussie Bodies’ protein powder range includes a number of products, including the Perfect Protein range, plus the 100% WHEY protein. Within the Perfect Protein range, Aussie Bodies offers Real Fruit Smoothie, natural Whey as well as natural plant protein for those looking for a natural alternative. While it may not offer a wide variety of flavours, the Aussie Bodies protein powder is available in 375g, 400g and 3kg tubs, depending on the retailer and specific product. 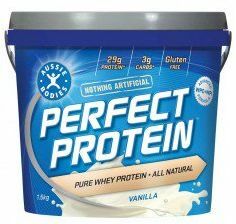 Aussie Bodies Natural Whey protein contains over 27g of protein per 37g serving. For a quick on-the-go alternative, Aussie Bodies also provides 375ml shakes, available in the Lo Carb and Protein Revival range. Including a number of flavours, such as classic chocolate, vanilla and strawberry, shakes are available for individual purchase. In addition to the protein powders and shakes, Aussie Bodies also offers protein bars, which includes the Protein FX, HPLC and Lo Carb varieties. Available in packs as well as for individual purchase, Aussie Bodies bars come in a variety of flavours, including choc caramel, rocky road, peanut butter and the traditional chocolate. The FX and HPLC may better suit regular gym-goers, while the Lo Carb bar may be better suited for the casual fitness type, or those looking for cut down on unhealthy snacking. Regardless of what you’re after, ALDI seems to always come up with the goods, with protein supplements no exception. 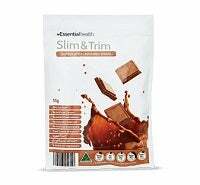 For your protein hit, ALDI offers the Slim and Trim range, which includes powders and bars, although the range and flavours will be dependent on which store you visit. One of the more affordable ranges on offer, you can pick up either a bar or individual powder sachets at ALDI and can expect an 18g protein hit from the 55g powder, with 15g protein intake from a 55g bar. One of only two brands to score five stars for value for money, ALDI was rated four stars for overall satisfaction and three stars for all remaining categories. Musashi offers consumers a wide variety of protein products, including powders, bars and drinks for your fitness needs, with the company also offering meal plans and training tips on their website. 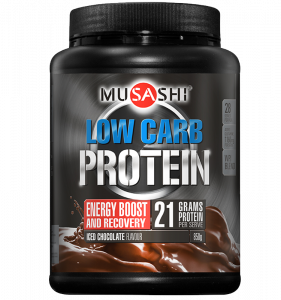 Regardless of your training and body goals, Musashi will likely have you covered when it comes to protein supplements, with its range of powders covering low-carb, mass gainers and 100% whey varieties. These are available in up to 3kg tubs, with Musashi offering a number of flavours per product, including classics such as chocolate and vanilla, plus additional flavours such as mocha, choc mint and banana smoothie on select powders. Musashi’s Natural Protein contains 24g of protein per 60g serving, while the 100% Whey powder contains 23g per 34g serving. Similar to the powders, Musashi’s protein bars are available in low-carb and mass gainer varieties, helping you meet your protein intake regardless of which diet you’re following. Predominantly available for single purchase, Musashi does offer a 12-pack of the Growling Dog variety at select retailers. 375ml drinks are additionally available for those on the go, with flavours including chocolate, iced coffee and creamy vanilla, each providing 30g of protein per hit, available in single purchase or 12-pack. Musashi products are available at supplement stores, as well as select supermarkets and health food stores, with a store locator available on their website. Known for its range of multivitamins and using natural ingredients, Nature’s Way has also diversified into the protein supplement market, offering a number of options, including vegan products and supplements with additional benefits claimed, including a collagen boost for healthy skin and hair. Available for purchase online or at local supermarkets and pharmacies, the Nature’s Way protein range includes Hemp protein, Instant Natural Protein and specialised proteins such as protein with super greens. 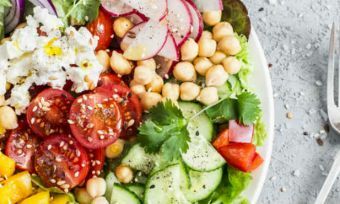 Each protein is predominantly made of plant-based proteins, making them an ideal option for those on a vegetarian or vegan diet, with ingredients listed on the website. 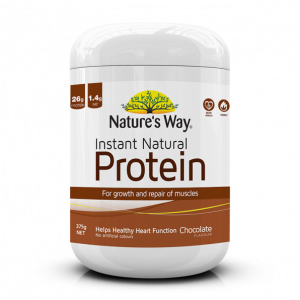 The Nature’s Way Instant Natural Protein contains 26g per serving. Available in tubs ranging between 168g and 375g, Nature’s Way might not be the brand for you if you’re looking to stock up at the checkout, but may be worthwhile if you’re looking to incorporate more protein into your normal diet. While more focussed on weight loss and meal replacement, Bodytrim provides a number of high-protein options for consumers to choose from, predominantly coming in the form of bars and slices. Available for purchase at supermarkets and pharmacies, Bodytrim may be suited to those who are partial to snacking, or those looking to lose a few kilos before summer. 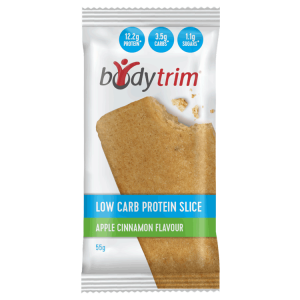 Intended to be used in conjunction with its 12-week program, Bodytrim offers low-carb cookies, protein slices and fudge bars, all of which are gluten free and available in a number of flavours to help those with a sweet tooth. Bodytrim additionally lists the ingredients, nutritional information and potential allergies on its website, helping to ensure consumers make the right decision when it comes to choosing a potential snack. Bodytrim’s cookies contain over 11g of protein per 50g, while the Protein Slices contain over 12g per serve. Available in classic flavours like chocolate and vanilla, Bodytrim shakes are available in tubs or Fast Shake packs for those on the go. Rounding out the results, Bodytrim was rated four stars for variety of flavours, while scoring three stars for all other categories, including effectiveness and overall satisfaction. How many calories are in protein? Protein contains four calories per gram, while fat has nine calories per gram and carbs have four calories per gram as well. This is why it’s important for a protein supplement to be mostly made of protein – you don’t want to be filling up on something that will take you further away from your body goal! A typical 30g scoop of Whey Protein Isolate (WPI) has about 470kj (or about 110 to 120 calories). A WPI 30g scoop should ideally have about 25g of protein and minimal sugars and fats. Whey Protein Concentrate (WPC) has slightly lower protein content per 30g, but is a more densely-packed form of protein, allowing more powder per scoop. Other, vegetarian-friendly proteins such as pea protein are generally lower in protein content again, tracking at around 20g per 30g scoop. As for bars, they can vary wildly, but 10-15g is about standard for a 60g bar, while some have as much as 20g of protein. To get the best ‘bang for buck’, your protein supplement should ideally have as much protein per serving possible, while being low in carbs and fats. With 56% of survey respondents indicating that they researched how much protein they should be having a day, figuring out your recommended intake is obviously important to many, as well as potentially a bit confusing. The most common formula of recommended protein intake getting around is the old chestnut of 1g/lb of bodyweight. What is means is that if you weigh about 200lb (or about 90kg), you need 200g of protein per day. This equates to 2.2g per kilogram. For a lot of people, this is a lot to take in, and probably means a big adjustment to their diet. Studies have shown that about 0.8g per lb of bodyweight is safe for ‘bulking’ and losing weight. So a 90kg person could get away with 160g of protein, or even less based on what study you follow. Those studies show that your muscles slow the synthesis of protein after about 0.8g/lb or 1.8g/kg. Those losing weight may still want to consume more protein to bust their hunger cravings and limit the bloating effect that carbs can have. 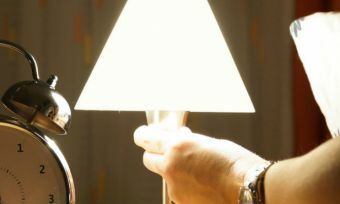 Sedentary people may be able to get away with even less protein content. 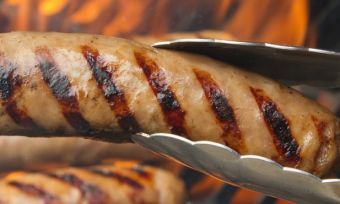 In a western diet, very little of our food is high in protein, and is instead processed and carb or fat-laden. If inactive, and not interested in bulking up or slimming down, 1g per kilogram may be suitable. In any case, these studies may be limited in scope, so don’t take our word for it; as always, consult a medical professional if embarking on a change of diet and/or exercise. Which protein supplement should I use? There’s a lot more to a protein supplement than simply how much protein it’s packing, with the levels of fat, carbs and ingredients also important to consider before you hand over your hard-earned money. In addition to taste and texture, factors such as price and how easily you can get you hands on each particular brand will also influence which supplement you go with. 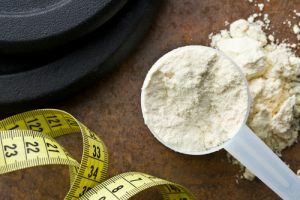 And while the beast in your gym may recommend a certain brand, it may not be the best fit for you as you may have different body goals, as well as require different intake levels, meaning there isn’t a one-size-fits-all approach to protein supplements. Ultimately which protein type and supplement brand you choose will be your own personal decision, but researching what’s out there, as well as looking into the nutritional information of each product, can help ensure you see results you want before summer comes around. Canstar Blue surveyed 6,000 Australian adults across a range of categories to measure and track customer satisfaction, via ISO 26362 accredited research panels managed by Qualtrics. The outcomes reported are the results from customers within the survey group who have purchased and consumed a protein supplement in the last 6 months – in this case, 1,273 people.